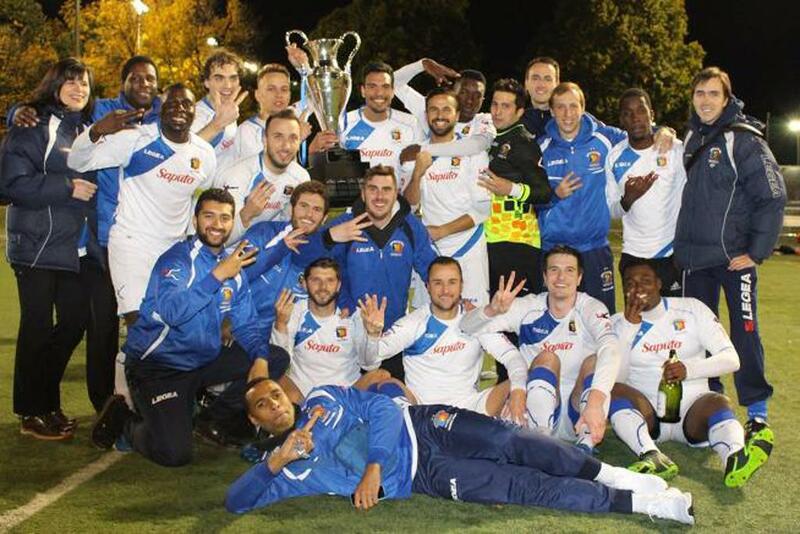 The 2016 National Division III Championship begins the two-leg series this Saturday November 5 at Terrbonne Sports Complex as champions of Quebec's PLSQ semi-professional league, CS Mont-Royal Outremont Griffons take on the League1 Ontario champs, Vaughan Azzurri. After falling to Oakville Blue Devils in last year's Inter-Provincial Cup, Griffons head coach Luc Brutus said his side have been eagerly awaiting the opportunity to make amends. "We are really looking forward to the match against Ontario," said Brutus, reached over the phone in Montreal. "Right from the start, the Inter-Provincial Cup was the objective of the team. Ever since we lost in the second game against Ontario last year, we have wanted to go back and make sure that this year we get all the way to the finish line." The Griffons are developing into quite the Quebec dynasty, with two consecutive titles (2015, 2016) to add to their first PLSQ title achievement in 2013. "Once again we had a successful season in the league," confirmed Brutus. "Basically we kept a lot of the players from last season, but every year we try to adjust and add a few players, and that is what we did again this year." "I believe we did that successfully this season as most of the new players got involved very well right from the start. With a successful start, we built on that momentum and I would say when we hit August, the team really took off. We really took the championship at that point, I would say." "It has been very positive for the players, and very positive for the club as well again to win the league. This is the second Quebec title in a row, and the third in four years. We entered the PLSQ league in 2013, and I think these achievements really show the depth of the program. It also shows that the players that we have are extremely serious, believe in the project, and are ready to perform day after day. That's also the key when we recruit players, we make sure they are of the same philosophy." 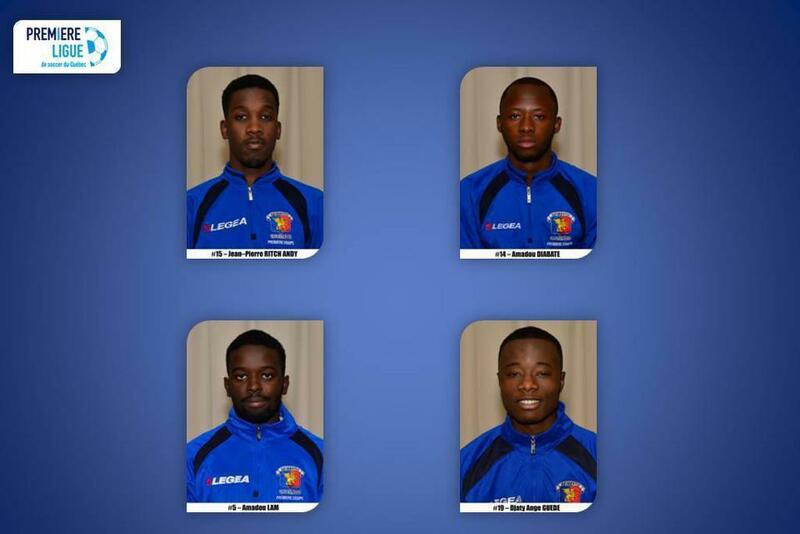 The Griffons demonstrated great versatility in the 2015 Inter-Provincial Cup, bringing through several players in the second leg that were unavailable for the Ontario-based first leg, and Brutus explained this is a characteristic of the squad. "We can see the results of this in that we are always using different players from the squad to get us to the finish line in big matches," he said. "This is very positive for us as it shows the players we are bringing in each year are adding to what we have started. That is key for us." "We are developing players from within, but most of our top youth players are U18 and U21 and though they are in touch with the first team through training etc., they are not quite yet making this team." "The players we have in the current team are typically 22 or older and come with excellent experience. Many of them have come from provincial programs, and all of them have played in elite teams in Quebec. 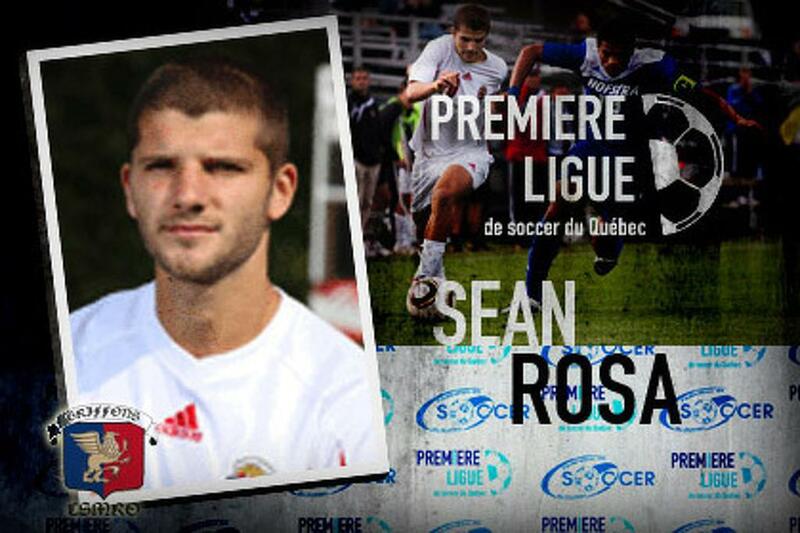 We are able to attract them with what we have now, the likes of ex-Canada national player Sean Rosa and those kinds of players. Many of them are U26 or U27 that used to play at a very high level and are now involved with the team. That is the type of player we are trying to attract." 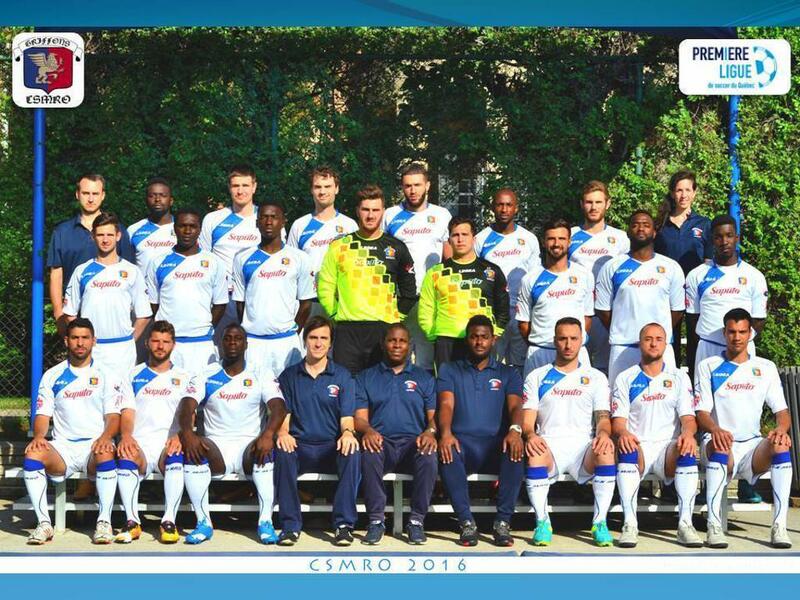 Brutus highlighted some key players in the current squad that have been instrumental in the Montreal-based team's 2016 success. 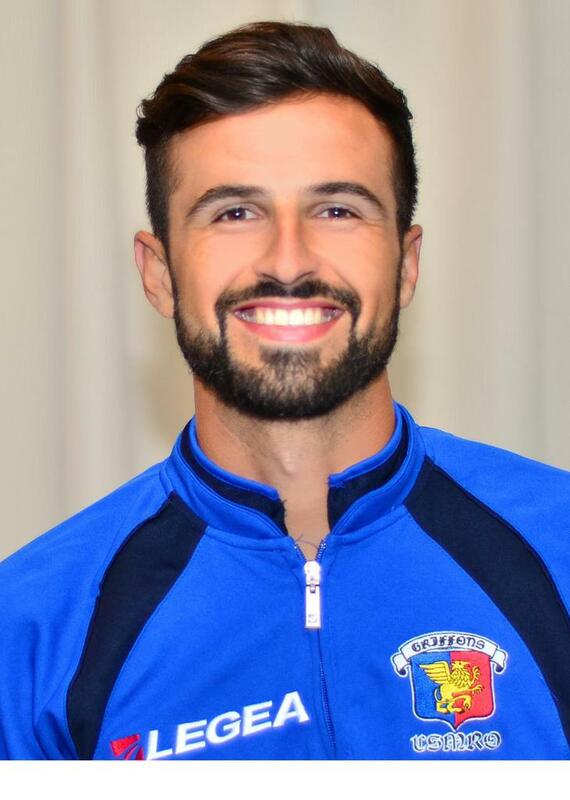 "We have some new players brought in since the last Inter-Provincial Cup, including Maxime Olivieri - a French player that came from division four in France. A very high level midfield player, who was very important for us throughout the season, and I think will be a very important competitor in the home and away legs of the Cup." "We also have Yannick Toker, who is playing in the midfield this year as our number six. He is a young player that used to be with the Impact academy. He has been doing a tremendous job for us." "We have some players this year that only played in the second leg last year, like Adama Sissoko, and up front we will still have the same group as last year. Our top scorer, Frederico Moojen unfortunately cannot be there. He is already involved in the Major Arena Soccer League (MASL) in the States, so he is in Florida right now. We still have most of the team though, and we have the forwards to make the difference." 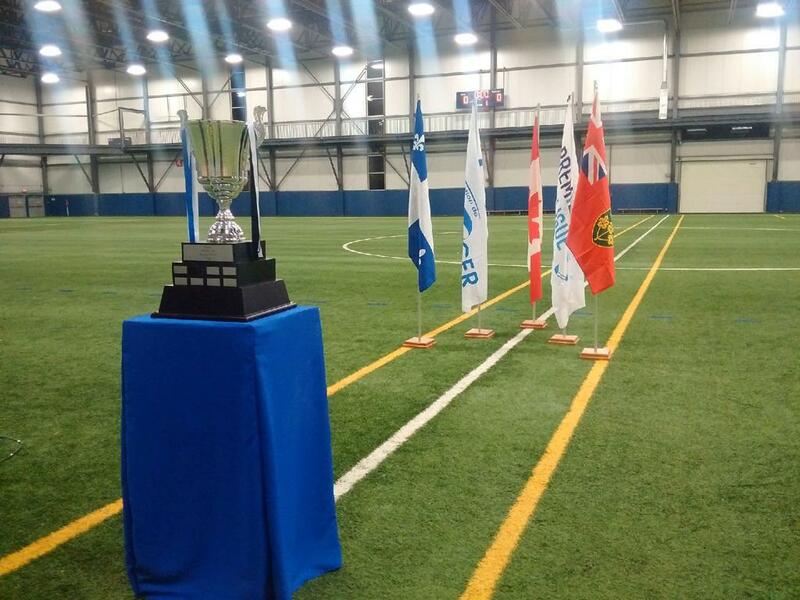 Although this will be the first time that Vaughan Azzurri and Mont-Royal Outremont Griffons will square off against each other in their history, Brutus said the lessons learned from the club's 2015 Inter-Provincial Cup have led to some early scouting of their Ontario opposition. "We started to monitor Vaughan by video in recent weeks, and we know about the players they have now," he said. "We will continue with our video analysis throughout the week with the players, and I can say our preparation will be a little different this year. I think the approach will be more tactical this year, a little more preparation on set plays - we know that Vaughan is dangerous on set pieces, and we were caught last year on that." "We know this is a fast team, and we know technically that they can handle the ball and like to keep it. We'll make sure we are well-positioned on the field to ensure we don't get caught out by that style of play. I would say we will be more aware of the situations involved in the two game series, and a key situation for us will obviously be to manage the emotions that go into this particular championship game." 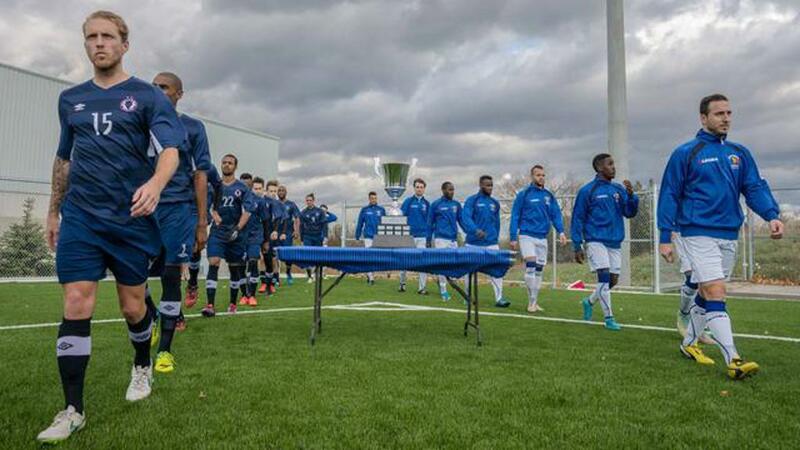 In keeping with the format of the Inter-Provincial Cup, the location of the first leg is alternated year to year; with Oakville having had home advantage for the first leg in 2015, Outremont will now host the first leg in 2016. However, Brutus explained that he thought there was no advantage to having a first leg at home. "I don't believe there is any advantage to starting this year's series at home, because it is two teams that don't really know each other even though we still have the video," he said. "It will be two teams that have to adjust to anything that happens on the field, and learn from that. When we see those kind of games, I don't feel that there is any kind of advantage. Of course in the first game we need to make sure the opponent doesn't score much, that is key, but we just need to be prepared and ready for the game that is on the field on the day." For Brutus, repeat appearances in the Inter-Provincial Cup gives the club a chance to showcase their quality outside their home province. "We're always honoured to be a part of the Inter-Provincial Cup, and this year obviously we know more than we did last year," he explained. "We will be more prepared to adjust to the reality of the two-game series. It will be fun, and for us it is important to be able to show the logo of the club everywhere we can." 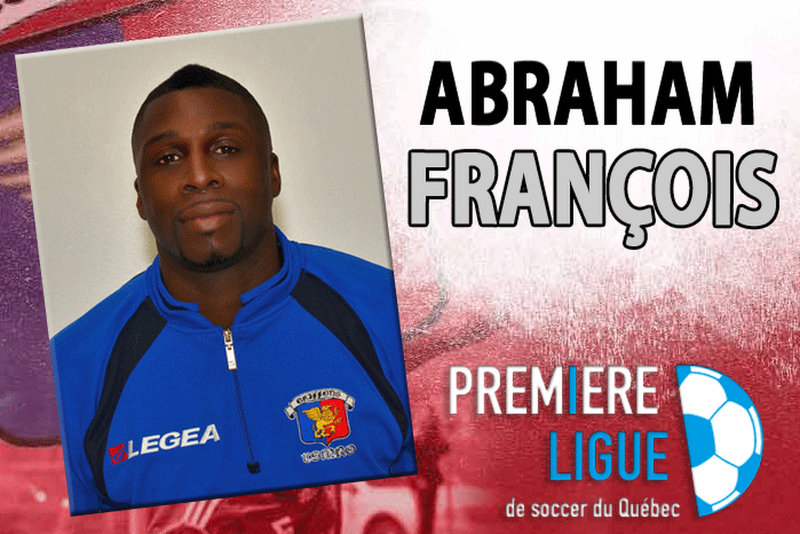 "This club needs to be recognized not just in Quebec but throughout Canada for the successful project it has run for many years. We want to make sure we put up a good example for the rest of our province, and ensure this year we go all the way." "The DIII level deserves to be seen more and more everywhere, because it is a very good level, and let's hope we can give a very good showing."